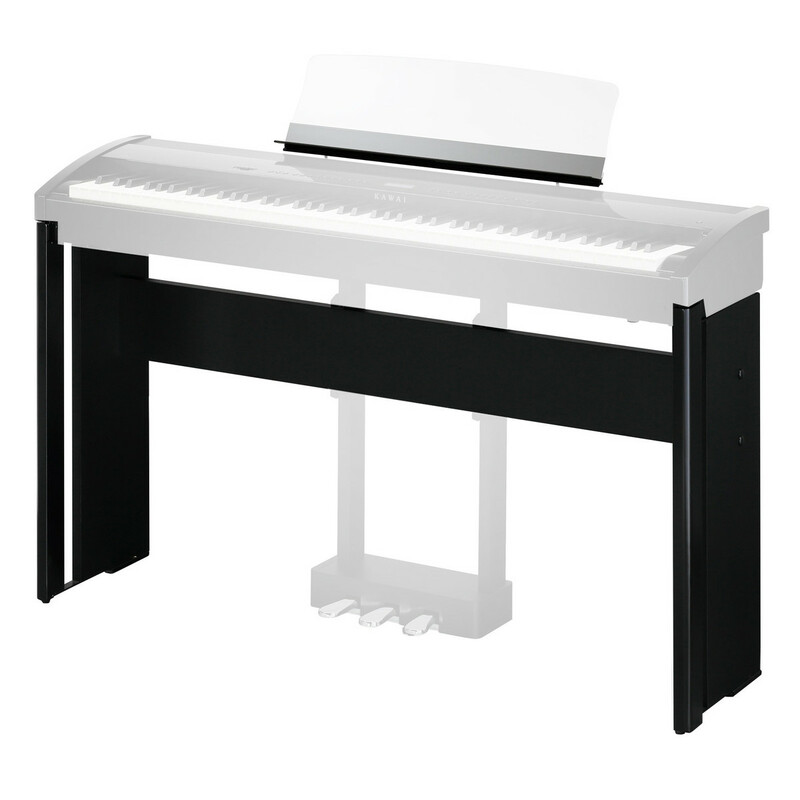 The Kawai HM4 Stand offers a smart look and sturdy fitting for your ES8 digital piano. The HM4's wooden structure has a robust feel, whilst the outer coating is durable for the road. The smart design means the HM4 looks suitable in both the home and on the stage. The flat back panel design allows you to stand it upright against a wall, whilst the additional rack attaches your sheet music for convenience. This stand's black finish complements the ES8 for a smart look.